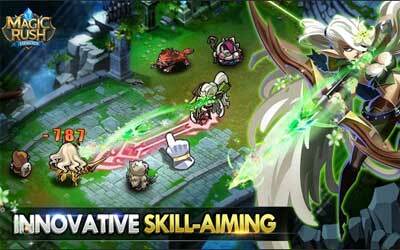 Previous version Magic Rush: Heroes 1.1.145 apk for Android will help you to downgrade or install older app easily. This is one of the best Role Playing apps. Players can now choose an auto-fight option when facing relatively weaker opponents. This option will allow our AI system to carry out the hero ban/pick phase and fight the battle automatically. Beast Soul Tourney auto-fight unlocks at Troop Lv 80.